With the hot weather in full swing, our body begins to crave foods that are described as “cooling foods”. 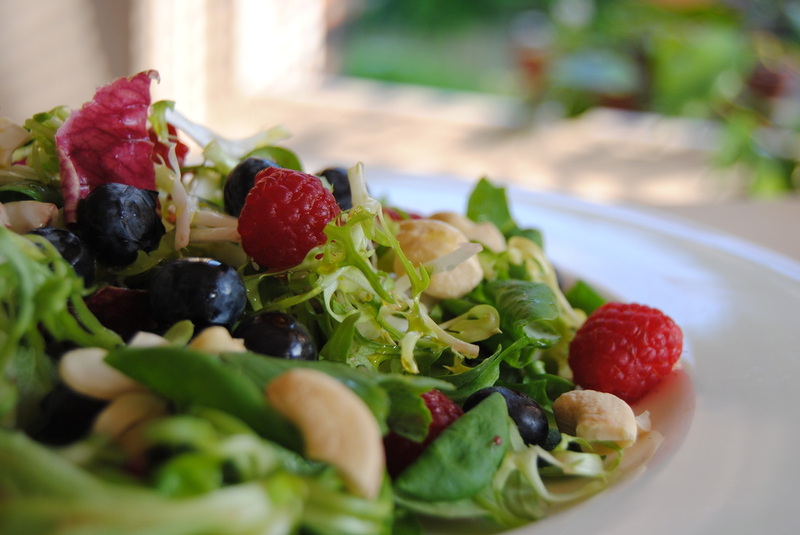 These foods are fruits and non starchy vegetables. They cleanse our body and help to detoxify us through the summer months. After a winter of cooked food and root vegetables, our body naturally wants to be cleansed. 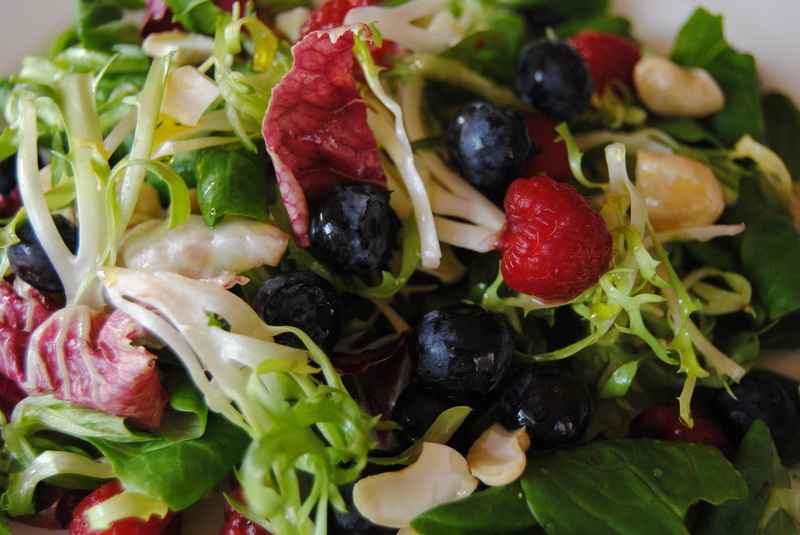 Today I made a simple salad with mixed greens and berries. This is a good example of something to eat while it’s hot outside. It’s easy for the body to break down and so it doesn’t require extra energy. 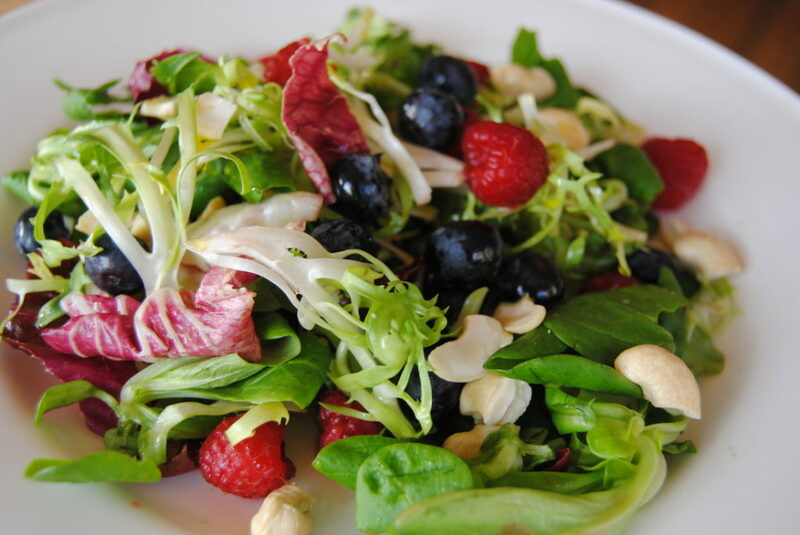 Salads that contain fruit usually don’t require a heavy salad dressing. Just drizzling some olive oil and lemon over them is often enough. Add in some nuts or seeds to your fruit salads as well. 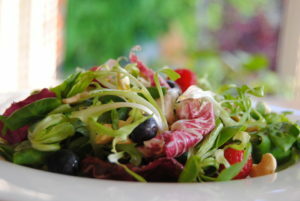 They will give you extra protein and provide you with healthy fats which satiate you. If you have more fruit at home, add that in as well. Enjoy the warm weather!